The opportunities for unique design statements and creative self-expression afforded by patterned and parquet flooring have created a resurgence of interest in this age-old technique. At SFC, our obsession with service and insistence on proven, traditional craftsmanship make us the ideal partner in realizing the precise look of your dreams - even an impossible one. Unquestionably one-of-a-kind in look and provenance, these reclaimed woods hail from centuries-old structures in rural France, where they developed the deep, antique patina derived exclusively from daily use and constant exposure to atmospheric elements. 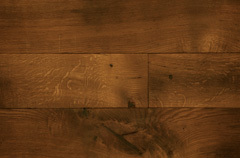 A floor built from these rare boards is rich not only with unique character and durability, but history itself. And the beauty inherent in these treasured woods will only deepen and grow with each passing year. Each batch of antique material arrives with documents of certification from the French government as well as our local supplier which we retain on file, so you can rest assured of its authentic provenance. While they are sourced from the same 18th- and 19th-century farm and industrial structures as our French Original-Face Boards, when milled, these antique woods yield a pristine, light surface that's ideal for customization. 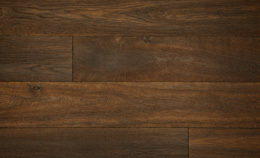 You'll enjoy the variations, nicks, and wear marks of unadorned antique lumber, with a consistency of color and surface that makes it adaptable to the finish of your choice. As with our Reclaimed Original-Face Boards, these split-beam surfaces will age beautifully with everyday use and minimal care. An exceptional value for the homeowner who wants to own a touch of history. 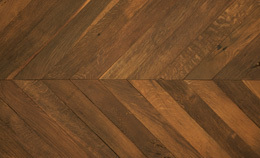 The floors and timbers salvaged from the centuries-old structures of the Eastern United States are as rich with history as they are extraordinary in their one-of-a-kind, vintage beauty. From Chestnut to Heart Pine, Old-Growth Cherry to rare Black Walnut, we carry a vast selection of woods redolent with the spirit of long-gone days. Our domestic reclaimed stock hails from 18th- and 19th-Century barns and homes, as well as from factories built as early as the dawn of the Industrial Revolution. 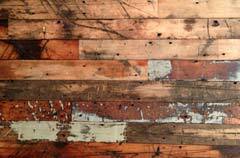 A vintage floor that is uniquely American, through and through. 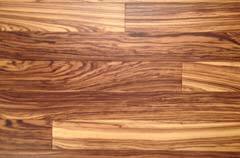 Do your specifications call for exotics like Jatoba, Wenge, or Cumaru? Does your design scheme require a rare Wormy Maple or reclaimed Dirty Pine? For these or any of the more unusual woods you seek, you need look no further than SFC. Cultivating close relationships with top purveyors, domestically and internationally, means we can supply you with the finest-grade flooring of any kind, no matter what your tastes or design sensibilities demand. The forests of Eastern Europe feature faster-growth wood that yields oak flooring of exceptional value as well as beauty and durability. As with all of our luxury hardwoods, our European Oak is sustainably raised and harvested, and we always source from a select few vendors to ensure consistency of look, grain and, of course, quality. In the same way that the faint sheen from a fine-metal setting enhances a gem's inherent beauty, the subtle gleam from our proprietary Metallics line of finishes amplifies the natural radiance of high-end grain. It's a stunning, unique look that makes a statement without ever calling attention to itself. Created by and available exclusively through SFC, Metallics bridge the gap between the modern and the classic, for a truly personalized finish that works seamlessly with your home's decor. The shades shown are just a small sample of what we can customize for you. From the subtlest natural wood tones to hues with a hint of periwinkle or emerald (or both), we can create any custom color you desire right down to a specific shade of candy apple red! Still the standard against which all other virgin oak is measured, our prized New French Oak from the Lorraine region of France boasts the wide grain patterns unique to the area's mild winters, along with the exclusivity and assurance that comes with full certification from the mill itself. 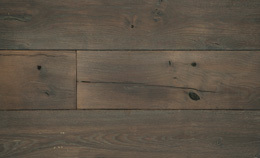 This stunning, durable hardwood is almost infinitely customizable to your specifications, to work with any design scheme. 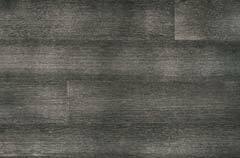 Yet whether you choose a simple, minimalist finish or complex, custom detailing, the derivation of French Oak always remains recognizable to the discerning eye. Each batch of new French oak arrives with documents of certification from the mill which produced it, as well as documentation from our local French supplier, so you can rest assured of its authentic provenance. 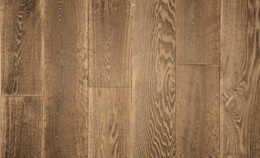 Like our French and European stock, this exceptional domestic hardwood is sourced, milled, and finished to the same, exacting standards, to ensure that your floor will be a showcase-worthy gem of enduring beauty and quality. 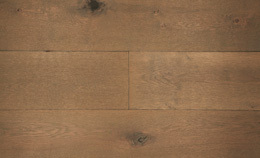 And because every aspect of its production is 100% U.S.-derived, when you purchase a Domestic Oak product, you can truly say that you have an American-made floor.